The world is changing in exponential ways due to technology. Education is not an exception. Consumers are turning into producers. Kindergarteners are turning into authors with a worldwide audience. Middle Schoolers are emerging as critical thinkers and authentic problem solvers. High Schoolers are applying to colleges with real world work as part of their portfolios. Teachers become self-directed and connected worldwide for their professional development. This exciting evolution does not leave Business Managers or the school’s support staff behind, as they are an integral part of all constituents’ needs. 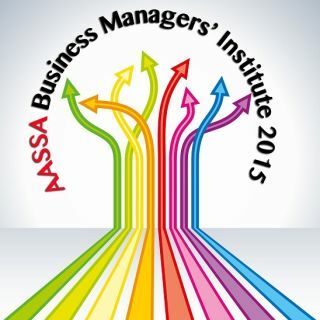 I had the pleasure of co-presenting with Felix Jacomino at the AASSA’s Business Managers’ Conference in Miami. The area of schools as storytellers and documenters of institutional memory is fascinating to me. We explored the role of social media and networking as the amplification of telling the story, both in geographic reach, but also as engaging stakeholders to tell and spread a school’s story. Attendees experienced many opportunities to be exposed to and explore technology in action. They learned about innovative ways to become more efficient and organized, be part of the 21st century branding of their school and how to become a connected, networked employee with a clear awareness of “behind-the-scenes” logistics. What year are we preparing our students for? How do we use technology to amplify organization? How do we use technology to transform a task? How do we connect with the right people? How to manage what others say about your brand? How can you visually represent your school? Why should you care? Why does it matter? Participants had ample opportunity for hands-on work. As a group, it was decided to collectively dig deeper into thinking about The Competitive Advantage in the World of International Schools. The first thing that was established to work from was a Today’s Meet room. The room was to serve as a space to easily share links to resources and forms, as well as questions or requests by the audience to the presenters. To see the power of collaborative, synchronous and visible crowdsourcing, attendees also logged into a Google Document and within minutes brainstormed 1 Thing Every Business Manager Should Know as well as 1 Thing to Share about “Competitive Advantage in the World of International Schools ”. Using the comment feature, participants asked clarifying questions or their own thoughts to contributions of others. GoogleDocs- Collaborative-Synchronous from langwitches on Vimeo. Participants also collaboratively created a Google Slide Presentation. As a group or individual they added one slide with a quote, tip or recommendation with the collective wisdom thread in mind. At the same time it gave them another opportunity to experience collaboration and crowdsourcing in action. These slides were later then used to create more visually appealing slides that could be used to further be disseminated via Social Media. As a group, we created, edited and filled out a Google Form to crowdsource answers to the “Hottest Questions For Business Managers at International Schools” to demonstrate a powerful tool to quickly survey a crowd, as well as being able to share and amplify the “crowd” and solicit contributions asynchronously worldwide to learn with and from each others expertise and experiences. Another demonstration of brainstorming or “think tanking”as a group was demonstrated with traditional Post-It notes. Participants shared their thoughts by using a visible thinking routing “I used to think about competitive advantage as (orange stickies) … Now I think as competitive advantage…” (green stickies). Felix, captured their thoughts by taking a picture of the stickies in the iPad app Post-It. Sharing, collaborating, creating, network of people aiming for the same good. Being able to redefine education to face the challenges of the 22nd century. One theme over the two days together was to show the power of visuals and the necessity of content creation as part of a marketing and branding strategy for International schools. With apps like Word Swag , PicCollage or Moldiv, it becomes fairly simple and easily embeddable into a workflow to create visually appealing messages that are easily shared on social media channels. Silvia looked at different social media platforms and emphasized the necessity to SHARE our schools’ stories and to connect with our stakeholders through the platform of their choice. The shift to go beyond sending out marketing materials to showcase the school’s accomplishments, mission and vision, takes us to the ability to share our message through stories and a variety of platforms to engage our stakeholders in order for them to contribute by letting them tell and re-share our stories. Felix demonstrated how one can create in a few simple steps a music video or slideshow with images of an event by using Animoto. Using tools, such as Piktochart or Canva, can support the ones among us who are not graphic designers. How well does your school tell their story? Have you established a social media presence that goes beyond pushing out content in order to connect with and engage your stakeholders? Who are the lead storytellers in your school? Interested in exploring the answers to these questions? You might be interested in attended AASSA’s Social Media Institute, led by Silvia Rosenthal Tolisano. For now, here is the slide deck of the presentation. Silvia Rosenthal Tolisano is a Third Culture Kid (TCK). Born in Germany, raised in Argentina, having lived shortly in Brazil, now is planted in the United States. Her multicultural upbringing fueled her passion for languages, travel, global awareness and global competencies. Silvia holds a Bachelor’s Degree in Spanish with a Minor in International Studies and a Masters in Education with an emphasis in Instructional Technology. She has worked as a World Language teacher, Technology Integration Facilitator, 21st Century Learning Specialist, Social Media Coordinator, Professional Developer and Educational Consultant. Her passions include globally connected learning, technology integration, 21st Century skills and literacies, as well as digital storytelling. Silvia Rosenthal Tolisano is available for national and international conference presentations, consultations, and teacher training sessions. She is able to work with you and present in English, Spanish and German. Silvia is known in the international bloggersphere under the name of “Langwitches”. To learn about her work, subscribe to the Langwitches Blog and follow her on Twitter. She is a Curriculum21 faculty member, author of the book “Digital Storytelling Tools for Educators“, one of the co-authors of Mastering Digital Literacy & Mastering Global Literacy, Google Apps for Education Certified Trainer and the founder of the Around the World with 80 Schools project. Felix is currently the Director of Technology at St. Stephen’s Episcopal Day School in Coconut Grove, Florida and he is the host of Miami Device, a learning event presented by St. Stephen’s. He leads a team of three amazing Technology Integration Specialists and works with the best Head of School and administration team anyone could hope for. St. Stephen’s has gained much attention in the Educational Technology world due to hard work by the technology team, enthusiastic teachers, supportive administration, and excellent professional development. This success is measured by the most important component of any school initiative – the students! Learners at St. Stephen’s are excited about daily life at school and are authentically engaged by their enthusiastic and inspiring teachers.